Here's where you can find every Dark Zone chest within the Dark Zone East section of The Division 2, as well as where you can get hold of Dark Zone Keys. 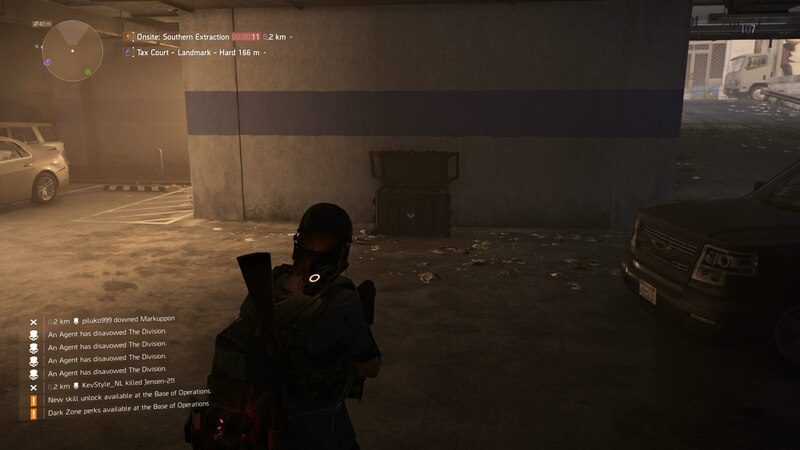 Within every Dark Zone area of The Division 2 there are a finite number of chests you can uncover for some rare gear. 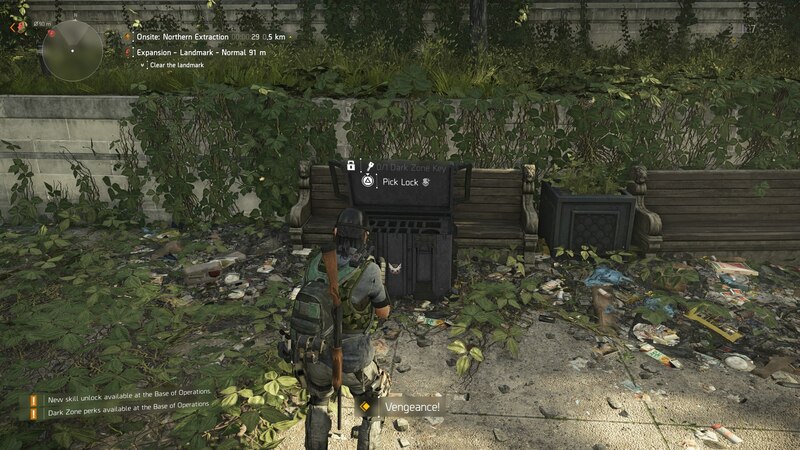 In this Division 2 Dark Zone East chests guide, we'll be mapping out a complete list of the Dark Zone chest locations in The Division 2, as well as detailing how you can get hold of Division 2 Dark Keys, which are quite tricky to come by. But if you instead need help with any other areas of Ubisoft's sequel, you can head over to our Division 2 tips page. It's here that you can find a complete list of all the essential tips that every Division Agent should know. 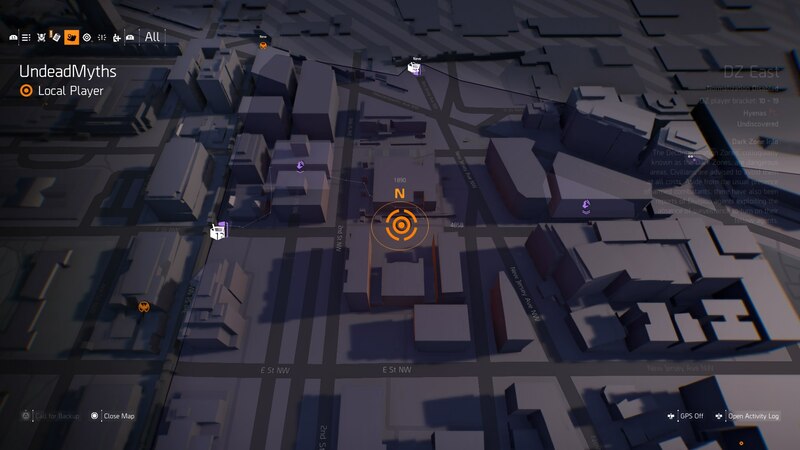 In the guide below, we'll be revealing the location of every single Dark Zone chest within the Dark Zone East area of The Division 2. If you need to know anything about the way these areas of the game function, or how to go about unlocking them in the first place, check out our Division 2 Dark Zones guide. 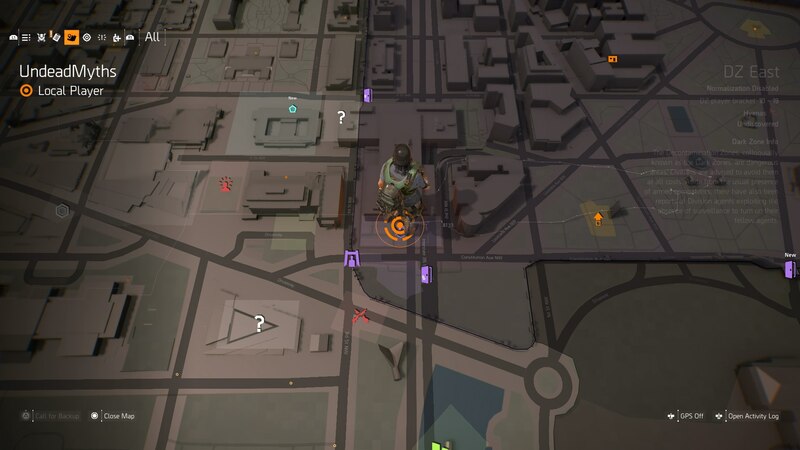 The first chest you can find in the Dark Zone East is just a short distance away from the DZ East - Main Entrance point on the map. Simply head slightly northeast to the Labor Department Landmark, and clear out all the enemies within the area. Now check just in front of the large main building, at the map point at which our own character is positioned in the screenshot just above. 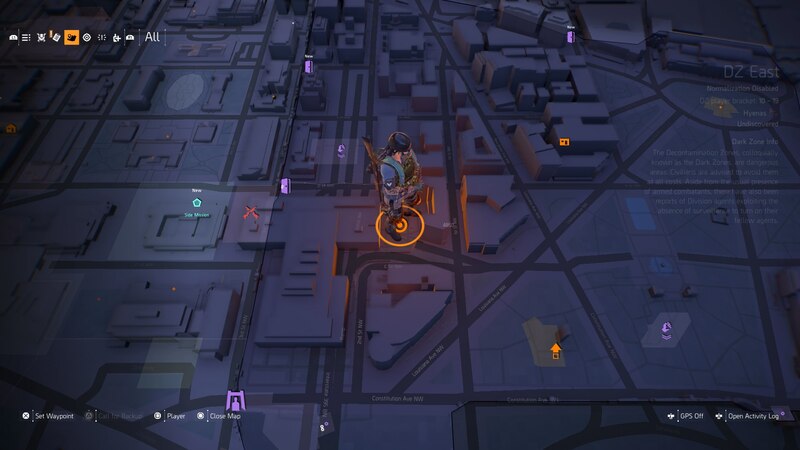 Below, you can see the location of the Dark Zone East chest, right in front of the huge office building. Just a short distance east of the Dark Zone East - Bravo CP, you can find the second Dark Zone East chest. For this one, you need to head into the small underground parking section. Again, we've marked the final location of the chest in the map screen just above. You might have to deal with a few elite enemies in the parking section among the cars, but once you're done with them, you're free to claim the chest. 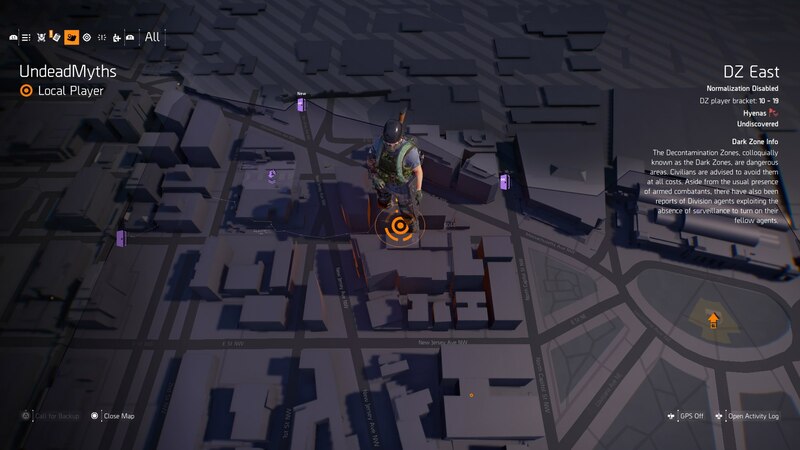 The next Dark Zone east chest location is even close to Bravo CP. Head straight out of the checkpoint, take the first path on the left, go past the army vehicle, and look left, to where you can go up some stairs. At the top of this flight of stairs outside of the large building, you can find the next Dark Zone East chest. As usual, you can either use two Dark Zone Keys to open up the chest, or hack it and risk going Rogue. The fourth Dark Zone East chest is found really close to the Dark Zone East - Charlie CP on the map. Just head a bit northeast, to the point on the map that we've marked below. Your guide route will take you inside a building on the ground floor. Here, where the floor descends slightly, you'll find the chest right next to a scissor lift. Just a very short way east of the previous location, you can find the next Dark Zone East chest. This one is located in the street going between the two buildings, on the map location that you can see below. 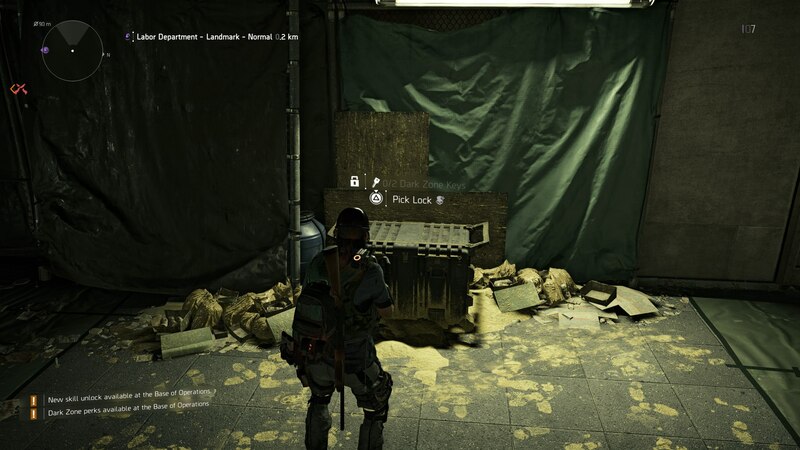 Right in the middle of the walkway, you can find this particular Dark Zone East chest. It's basically in the middle of the street, right next to two park benches. For this next chest, you're looking for a triangular building. Starting off from Dark Zone East - Echo CP, you just need to head a short distance southwest. Within the building that's shaped like a triangle, you need to head into the underground area. 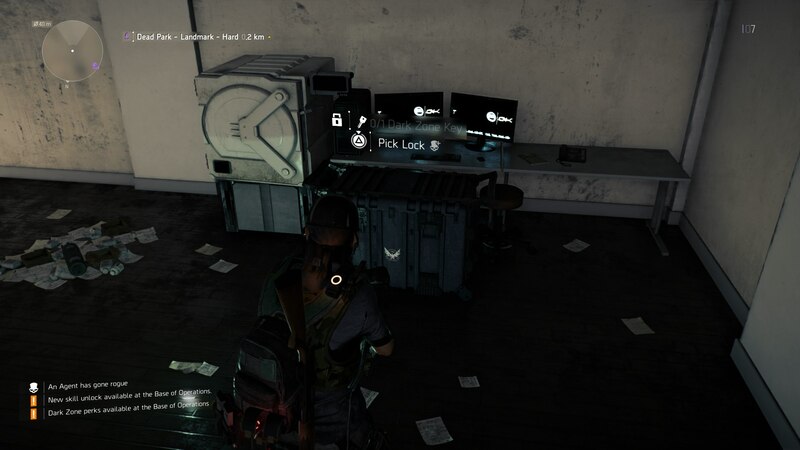 Nearby a load of laptops and computers, you can find this Dark Zone East chest in the corner of the room. 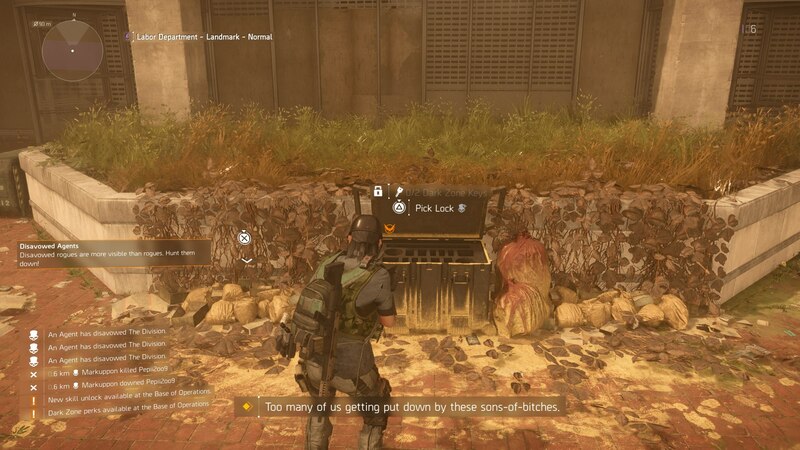 For every chest you find within a Dark Zone in The Division 2 you're presented with two options: hack the chest and open it, raising your status towards going Rogue; or open it using two Dark Zone Keys. These keys, unfortunately, aren't in any one specific location on the map, and you instead unlock them through certain random methods. 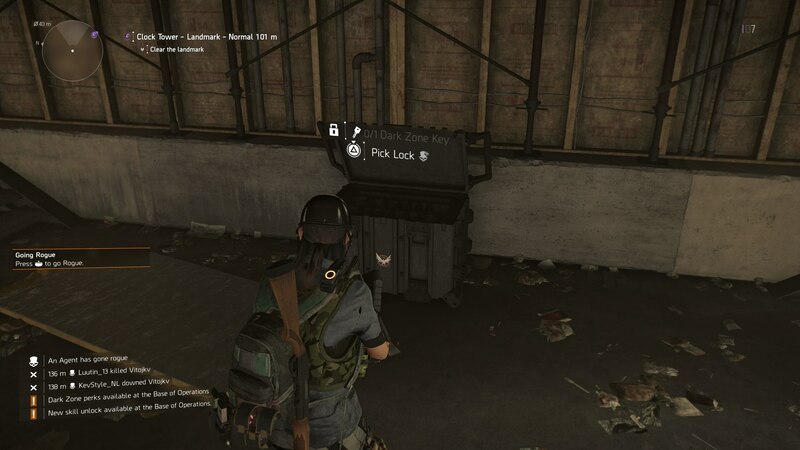 Just below, we've listed all the known methods for obtaining Dark Zone Keys in The Division 2. Remember that you can identify a key on the ground by its yellow coloring. Elite Enemies - The enemies with yellow health bars, that usually have names, stand a good chance of dropping Dark Zone Keys. While this isn't guaranteed in any way, you stand a decent chance of obtaining a Dark Zone Key from an elite enemy with a yellow health bar. 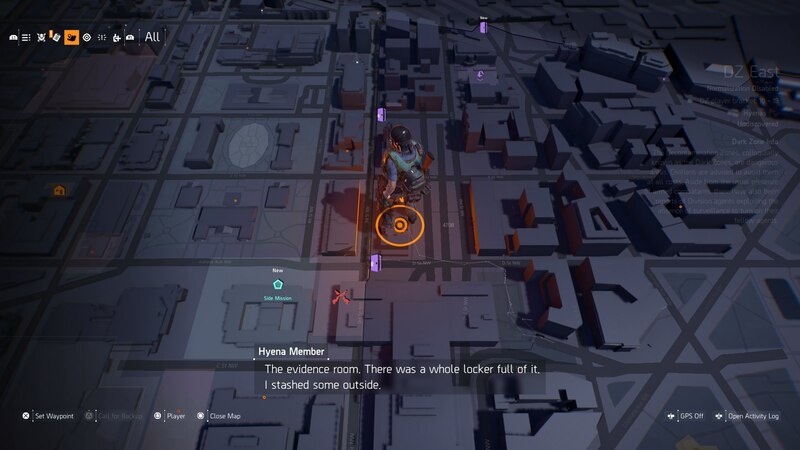 Other Players - Once you've raised your status to Manhunt Rogue, you can track down and kill other Division Agents within the Dark Zone. 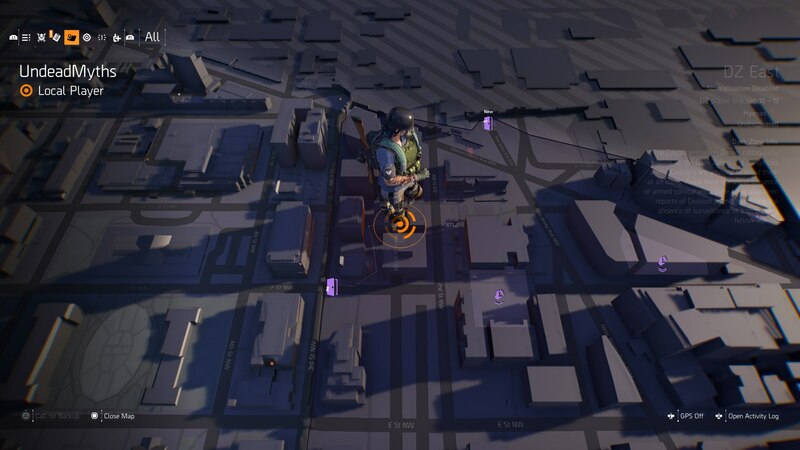 For a full guide on how to raise your Rogue status to this level, check out our Division 2 Dark Zone guide. So unfortunately, there's no solid method for obtaining Dark Zone Keys within The Division 2. Instead, you'll have to hope that you luck out through either of the methods we've detailed just above. Tagged with Action,	Co-op,	Guides,	PC,	PlayStation 4,	Shooters,	Ubisoft,	Xbox One.